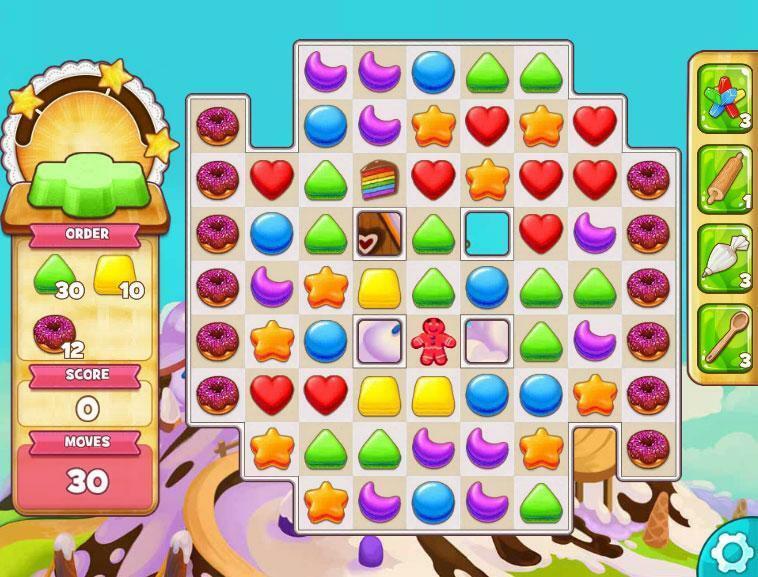 Play Cookie Jam and experience a fabulously sweet match 3 game. Create cakes and fill orders in this cute new game free on Facebook. Match the sweets together to fulfill orders. Make special combinations to help you. Use amazing boosters to get out of sticky situations. Cookie Jam is a casual Facebook based match-3 game that doesn’t really do much to innovate in the genre but instead focuses on refining what already exists. The game offers stellar match-3 gameplay and some really good looking visuals both of which combine to create a game that’s both fun and addictive to any kind of audience. 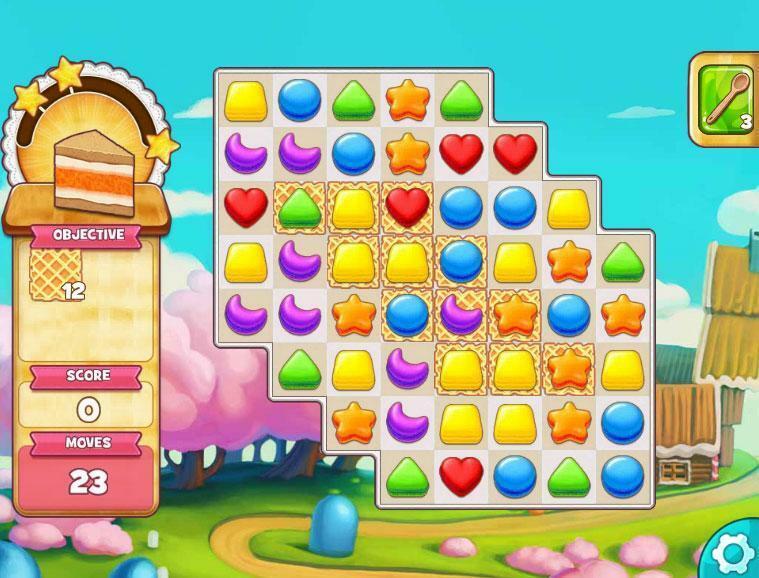 The game takes on the theme of a cookie factory where your objective is to form recipes by joining together recipes by matching together the ingredients in the level. It might seem like a pretty generic theme but it applies very nicely to the gameplay. Your introduction to the game will be through a few tutorial levels. Each tutorial level explains one core mechanic of the game and once you’re done with these you’ll know everything you need to about the game. The gameplay is quite simple; you have to swap places of two adjacent ingredients to form a row/column of three or more of the same ingredients and of course you’re required to do so within a limited amount of moves or a set amount of time. If you manage to bring more than three of the same ingredients together then you’ll produce a special ingredient that has unique properties for example being able to explode in a set radius or in a straight line, some even allow you to clear the entire playing field. All in all, the gameplay is run-of-the-mill match-3 gameplay but it feels a lot smoother to play. There are no in-game power-ups but there are a few you can select before entering a game that provide their own unique bonuses. Some form special ingredients at the start of each level while others act as simple point multipliers. The power-up variety is pretty solid and players are given a solid amount of choices of what to select before entering a level. Moving onto the visuals of Cookie Jam, the game looks like any other match-3 game which isn’t necessarily a bad thing. The overall color palette is really bright and the animations that occur when popping ingredients are really fluid. Alongside this the game is presented in a really nice manner as well. The user-interface is sleek and doesn’t take up a lot of space on the screen. As for paid content, you’ll be able to purchase in-game lives and the previously mentioned power-ups for real world money. Other than this there aren’t really a lot of micro-transactions going on and the great thing is that players are rewarded with things like power-ups whenever they login to play the game so both paying and non-paying players can get their hands on this content. 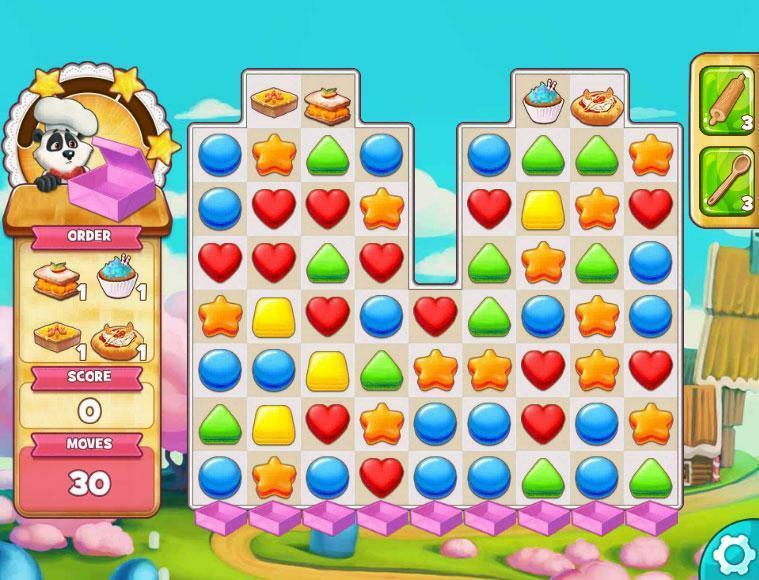 Cookie Jam is a top notch match-3 game that further refines the traditional gameplay to make for a really enjoyable experience.